Very often non-citizens (aliens and permanent residents) are placed in Removal Proceedings, a legal term referring to the legal process of removing or deporting the respondent from the United States , due to various issues including overstaying an approved visa, violations, denial of immigrant petitions, criminal convictions, and other problems. The Executive Office for Immigration Review (EOIR) i s a U.S. Government agency that incorporates the Office of the Chief Immigration Judge and oversees the function of all U.S. Immigration Courts. The Immigration Courts are presided by Immigration Judges (IJ's) who hear (adjudicate) all removal cases and make the ultimate decision whether to allow the respondent to remain in the U.S. legally, remove the respondent by order of deportation, or to grant the respondent a chance to leave on his own accord (voluntary departure). Immigration Relief is a term referred to in the U.S. Immigration Courts that allows a non-U.S. citizen to remain in the United States . Some of the most common forms of relief are to the left of this screen. Please browse through the forms of relief, and see if any of them apply to your specific situation. Removal (formerly known as ‘deportation') is the process by which Immigration and Customs Enforcement (ICE) of the U.S. Department of Homeland Security (DHS) attempts to remove non-citizens from the United States . WHO IS PLACED INTO REMOVAL PROCEEDINGS? Green Card holders who violated immigration laws, such as committing crimes in the US . 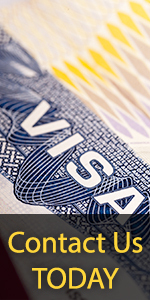 Green Card holders who remained outside of the US for extended periods of time and re-entered into U.S.
What are the Basic Requirements of Removal Proceedings? The respondent must be given proper notice of the process by the USCIS and may choose to be represented by an attorney. The Government has no obligation to provide the attorney for the alien. The respondent may ask for relief from removal/deportation. The respondent must have the opportunity to defend in his case, present evidence and testimony, and examine the evidence against him. The evidence against the respondent must have been obtained in a proper and legal way. The decision to remove or not to remove the respondent must be based on "reasonable, substantial, and probative evidence." How are Removal Proceedings Initiated? Removal proceedings begin with the service of the Notice to Appear (NTA) unto the Respondent – by mail or in person. The law requires the NTA to have been served upon the respondent in a proper and timely manner. The NTA is the official charging document from USCIS that places a non-citizen respondent in removal proceedings. It contains a list of allegations and charges against the respondent: a description of the activity that is allegedly illegal and a list of the provisions of immigration law alleged to be violated. An alien who receives the NTA is strongly urged to contact an attorney for legal assistance. The NTA often lists a specific time and place to appear in front of an Immigration Judge and the respondent must attend at that hearing or risk receiving an order of deportation in absentia (in his absence – by default). The Master Calendar Hearing is generally the respondent's first appearance in Immigration Court . The Master Calendar is a preliminary hearing to review the charges in the NTA before an Immigration Judge and give the respondent an opportunity to request relief from removal, i.e., Asylum, Withholding of Removal, Relief under CAT, cancellation of removal, stay of deportation, and/or administrative closure where appropriate. These hearings almost always have several respondents appearing before the judge and the judge's case roster may include at least ten respondents depending on which Immigration Court the respondent appears in geographically. For example, some judges in the New York, New York Immigration Court (at 26 Federal Plaza, NYC, NY), oftentimes have a case roster of 30 respondents on the 8:30 am to 11:00 am Master Calendar hearings schedule several times a week. On the other hand, the upstate New York Court may have less than 10 on certain days. During each hearing, the Immigration Judge must explain to the respondent in respondent's native language the respondent's rights (for example, the respondent's right to have the hearings conducted in his native language if other than English). If the respondent is not ready to proceed at the first or even at the second Master Calendar Hearing, for example, if he needs some time to hire an attorney, the respondent must ask the judge for a continuance with "good cause". If the respondent is ready to proceed at this Hearing, with or without an attorney, the judge will ask if the respondent agrees or denies the charges against him listed in the NTA. If the respondent does not agree with the charges, he can and should deny the charges and ask the government to prove its case against him. The Immigration Judge will determine if the non-U.S. citizen is eligible for any form(s) of relief, and set a date for the Individual Merits Hearing. During all immigration court hearings, the respondent's adversary is always the Office of Chief Counsel that is acting for the U.S. Government and the USCIS. The attorney appearing agains the respondent is referred to as the Trial Attorney. Keep in mind that the Trial Attorney's goal it is to ultimately deport the respondent. They must prove the Government's case against the respondent – that he is deportable. The Individual Hearing is a court hearing where the government must prove the charges alleged in the NTA fully. The judges usually allot at least 2 hours for such a hearing. The non-U.S. citizen must be able to present his or her case to the Immigration Judge with witnesses, evidentiary documents, and expert testimony in his favor and persuade the Immigration Judge to use his or her discretion and allow the non-U.S. citizen to remain in the United States (if such relief exists). At the conclusion of the removal proceedings, the Immigration Judge will determine if the non-U.S. citizen should or should not be removed from the U.S. The Immigration Judge will issue a final order in each removal case. When a non-citizen respondent is taken into custody in the course of his removal case (i.e., the respondent is arrested and taken to an “Immigration Detention Facility” for imprisonment), family members of certain respondents may request his or her release on bail (with bond). Certain respondents are not eligible at all for bond, while others may be released when a close family member petitions for such release. For a careful analysis of the bond situation, which is individual and fact-specific in each case, respondents are strongly urged to contact an immigration attorney. If eligible, the non-U.S. citizen may request a Bond Hearing before an Immigration Judge. At the Bond Hearing, the non-U.S. citizen must show that he has immediate family members vouching for him, that he is not a danger to the community and that he is not a flight risk. The respondent must also demonstrate to the court that he will attend all of his future hearings. An Immigration Judge may grant the respondent relief from removal such as granting Asylum, Withholding of Removal, Relief under CAT, cancellation of removal, stay of deportation, and/or administrative closure where appropriate. This means the respondent won his case against the government and may remain in the U.S. legally. For asylum grantees, they may seek to adjust to permanent residence within a short period of time. An Immigration Judge may also grant to the respondent an Order of Voluntary Departure if the NTA was served upon the respondent after his presence in the U.S. for longer than 1 year and in the absence of any arrests, convictions and with a showing of good moral character by respondent. This means that the respondent may leave the U.S. within the time allotted in the order without having the 3-year or 10-year bar penalty for re-entry into the U.S. If the Immigration Judge orders "removal" in the non-U.S. citizen's case, the respondent loses his privilege to remain in the United States . If this is the non-U.S. citizen's first order of removal, the non-U.S. citizen cannot legally return to the United States for at least ten years or more depending on the specific case. If the non-citizen was convicted of an aggravated felony, he or she may never be able to return to the U.S. Removal Proceedings are highly complicated legal matters, and all respondents are strongly urged to seek legal advice before appearing in Immigration Court . LAW OFFICES OF MARINA SHEPELSKY has an exemplary record of success in obtaining their clients immigration relief and the ability to remain in the United States legally after Court proceedings. Call us now for a free consultation and a free analysis of your immigration case. Our attorneys are well-versed in the language of immigration law.